If you aren’t already famous, nobody wants to read your memoir ...unless it’s great. There are two types of book that everybody thinks they can write with no training: Picture books and memoirs. When you tell anybody in publishing you’ve written one as your first attempt to get published, you will get an epic eye-roll. They will read it even more skeptically than they read everything else. 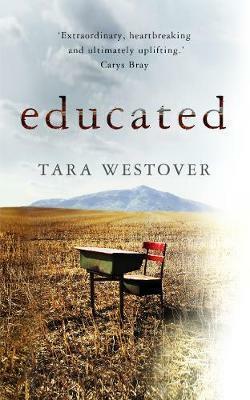 Tara Westover lived every non-famous memoir writer’s dream. Her name meant absolutely nothing to nobody. She had only published academic papers. She just knew that her life story was fascinating, and she felt it needed to be told. She knew she needed to tell it so well that people who had no reason to care about her would suddenly care about her. And she did it. I’ve talked before about how gatekeepers only read the first 15 pages of almost everything in their slush pile. Most books don’t grab them right away, so they quit reading. Westover’s story is very heroic in the end, as she breaks away from her upbringing and gets a great education …but no publisher was going to get to that if this first chapter didn’t grab them. Westover seems well aware that this prologue and first chapter would be the only part most potential agents and publishers would read, because it is a complete and compelling story, with a beginning, middle and end. At the end, we are launched into the rest of the book and eager to keep reading, but we also feel that we’ve gotten a chunk that is satisfying on its own. 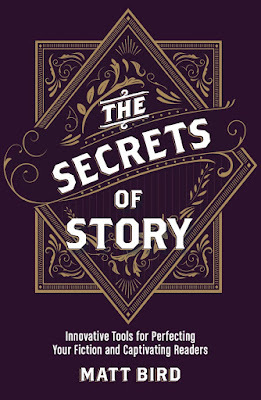 This is a key feature of a great memoir: each chapter has to be a great story on its own. Memoirs are, by their nature, very episodic. Each chapter will jump months or years ahead to the next anecdote. Nobody wants to read a memoir and say, “Well, we’ve had 100 pages of nothing but downward trajectory, so I sure hope this is going somewhere at some point.” They want to read constant ups and downs, constant ironies, constant dilemmas, constant decisions, constant conflict with shifting power dynamics. A great memoirist is a great storyteller, which means you know how to tell one big story and lots of little stories. If you have a great memoir, you can read any chapter at “The Moth” at any time and satisfy the audience. She has a possible Goal, unique to this chapter: running away with her grandparents, which she’s not sure if she wants to do. She has huge Stakes either way, which will be ongoing: Her parents have falsely convinced her that the feds may bust down the door and try to kill her for being (supposedly) homeschooled. Meanwhile, her father’s madness has suddenly purged the house of milk, the ultimate symbol of being denied sustenance she needs to live …and his madness is only growing. There’s a lot of Urgency, unique to this chapter: Her grandparents have given her one night to decide if she’ll go with them or they’re leaving without her. In the end, she rejects the goal, accepts the life of milklessness and danger from the feds, and watches her grandparents drive away without her. It’s tragic, ironic, and perilous. “The Moth” would be pleased. Even the most skeptical agent or publisher, idly pulling this off their slush pile, would be pretty much guaranteed to be hooked by this first chapter. They would know they’d then have a huge job to do: promoting a memoirist nobody had ever heard of, but it would be worth doing, because, if they pushed this book into enough hands, it would soon begin to sell itself. And that’s exactly what happened.